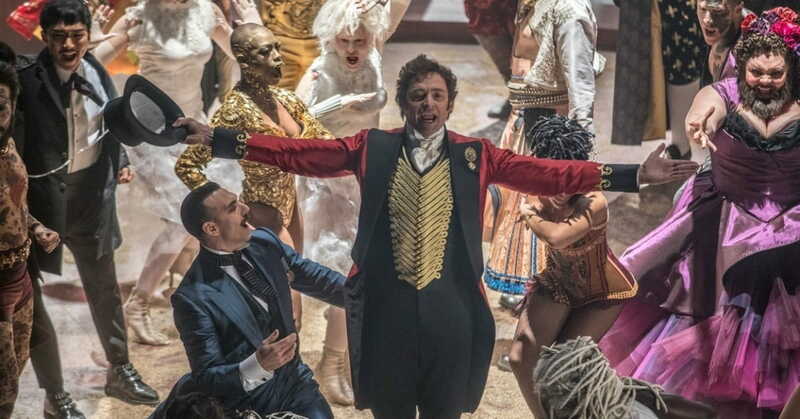 My friends can attest—indeed, may even roll their eyes—that I “heart” the recent cinematic musical The Greatest Showman, starring Hugh Jackman. And yes, Hugh alone is reason enough to return to the theater. But the music and storyline have made the movie a surprise hit. Why did I pay three times (thus far) to watch this show? (Never happened before). Why does my family want to purchase the DVD right now (even though it’s not available yet)? Is it indeed the greatest show? All those elements make this movie worth watching. However, the screenwriters and songwriters combined plot and lyrics to communicate biblical themes—quite possibly without even knowing it. Redemption, devotion, celebration, risk, fighting for social justice, faithfulness, pride before a fall followed by humility, the best on-screen apology written, chasing after the wind, coming home... God's truth fairly screams from the screen and speakers. The Oscar-nominated song “This is Me” champions the innate value of each human being, regardless of appearance, deformity, ability, or winsomeness. Think Genesis 1:26–27, 1 Samuel 16:7, Psalm 139. The more I listen to (and memorize) the soundtrack, the more truth I hear. My kids love the music, too—some of them may or may not have been caught dancing around the house to it—creating natural opportunities to discuss the message of any particular song and its accompanying segment in the movie. So. much. fun. for this mama who wants to instill biblical truth into the hearts of her kids. All truth is God’s truth. We can always find it in the Bible. But we can often discover it in the arts, and sometimes even through Oscar-nominated movies or our car speakers. We just need to keep our eyes and ears open. And, if you see me on the highway performing my own personal concert from the driver’s seat... don’t judge. Try it yourself! This article originated at kelleymathews.com. Used with permission. These days, when she's not on the road, Kelley writes, reviews fiction, mentors other writers, manages ministry websites, occasionally speaks at retreats, and generally loves to support women in their search to know God better. You can find out more about her books and other writing on her site www.kelleymathews.com. She is active on Facebook and Twitter as well.